We provide Vertical Drilling in NJ, PA (Bucks, Montgomery & Delaware County), Delaware (DE), Maryland (MD), and New York (NY). At AmeriDrill, Inc. our vertical drilling techniques allow us to provide exceptional drilling services in NJ, PA, DE, MD and NY. Our licensed and professional vertical drilling team strives to improve ordinary vertical drilling methods. Our vertical drilling can be used to obtain water samples and soil samples, and to handle rock coring and install monitoring wells. What separates us from the competition is our high level of vertical drilling experience as well as the top-of-the-line drilling equipment that we use. 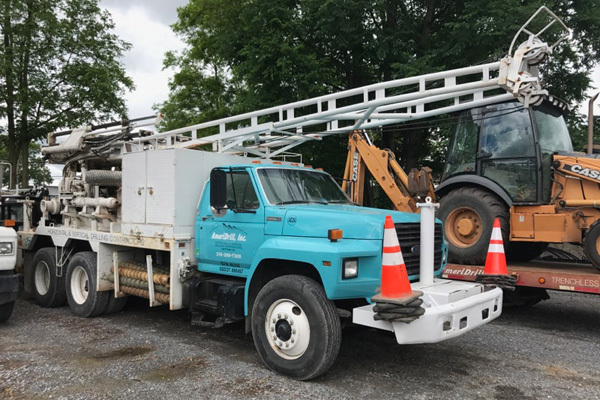 With 175 years of combined vertical drilling experience, our team at AmeriDrill, Inc. is able to provide you with exceptional vertical drilling services that are unmatched in the Pennsylvania (PA), New Jersey (NJ), Delaware (DE), Maryland (MD) and New York (NY) drilling industry. At AmeriDrill, Inc. we have built a reputation based on quality and safety. This is evident in all vertical drilling projects we take on in the PA, NJ, MD, DE and NY areas. Our drilling company is extremely hands-on and receptive to any questions or concerns you may have throughout the course of the vertical drilling process. Our vertical drilling services are available in Pennsylvania (PA), New Jersey (NJ), New York (NY), Maryland (MD) and Delaware (DE). For more information on our exceptional vertical drilling techniques, contact us today.